In addition to 30,000 bushels of storage, the new Grassy Lake plant has increased the co-op’s total processing volume by one-third. After doubling Taber Seed Cleaning Co-op’s seed processing capacity five years ago at its Fincastle location, Joe Hanson, the plant’s manager, thought he’d never need more. Only four short years later the plant at Fincastle couldn’t keep up with the demand for its services, so the co-op’s association was faced with a tough decision — up capacity or turn customers away. However, Hanson had taken the Fincastle plant as far as it could go, and turning customers away wasn’t an option either, he says. When he proposed building a second facility, the association board needed a little convincing. It took 13 months to build the new Taber Seed Cleaning Co-op Grassy Lake, which opened its doors last September. Hanson says running the two facilities, which are located 25 kilometers apart, keeps him on his toes. He says the plants work together to service the producers in the area. In addition to 30,000 bushels of storage, the new plant has increased the co-op’s total processing volume by one-third at 600 bushels per hour. 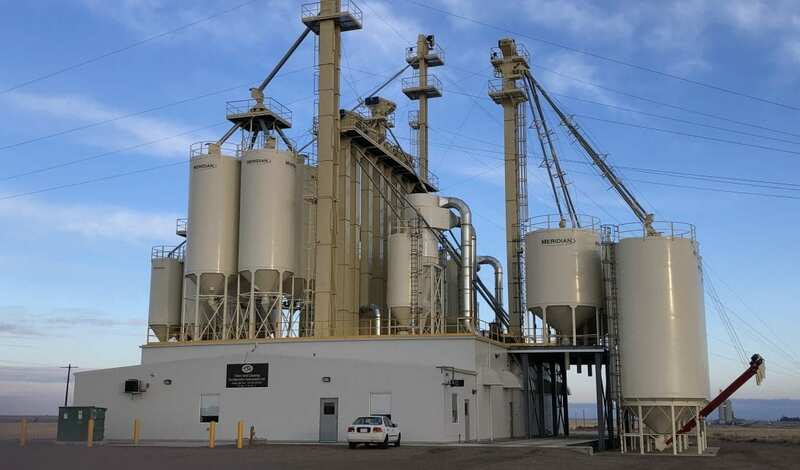 The Fincastle plant has two lines each capable of cleaning 600 bushels an hour; the combined cleaning capacity of the two plants is up to 1,800 bushels of wheat per hour. State-of-the-art equipment also went into the Grassy Lake plant including an aspirator, an easy-to-clean indent, a destoner, and an upgraded colour sorter which can recognize shapes and sort hulled and non-hulled products. The equipment will step up the plant’s game when it comes to cleaning and separating seed. The Grassy Lake facility also has a mobile seed treater, so seed can be processed outside. The treater has also increased growers’ ease as it can be pulled up to a grower’s bin where seed can be treated right from the bin and onto the grower’s truck. Hanson is currently organizing the installation of seed growers’ storage bins at the new plant. “It’s so much more convenient for them,” he says. There were several reasons for the increased demand of the co-op’s services, but one of the biggest factors was the area’s pedigreed seed production. Pedigreed seed cleaning accounts for 30 to 50 per cent of the business or up to 800,000 bushels, depending on the year. 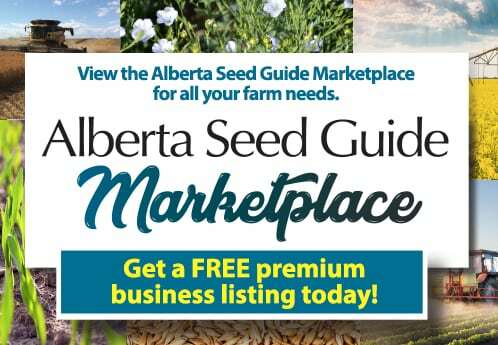 Part of the reasoning behind opening the second location was to provide local pedigreed seed growers — who produce wheat, hemp, coriander, barley, peas, chickpeas and triticale — easier access to services. Hanson focuses on quality of life to retain his employees. From left to right: Taber Seed Cleaning Co-op’s team members Peter, Joe and Jacob. Hanson believes demand for pedigreed seed will continue to increase, especially once hybrid wheat becomes a reality for western Canadian farmers. “In time, we’re going to see more hybrid cereals, which will have to be pedigreed seed. As soon as hybrid wheat is released, it’ll be a pedigreed status,” says Hanson. In addition to pedigreed seed, as a certified organic facility, the Grassy Lake plant also processes organic crops. Other specialty crops the new facility processes are coriander, dill, caraway and hemp. Hanson believes the demand for specialty crops, including pedigreed seed, will continue to increase. To carry out the clean-up between pedigreed crops, or those headed for organic or human consumption markets, it can take from six to eight hours. “Changeovers are a fact of life, but I’ve got a pretty good crew. It takes a little time, but that’s how you keep the seed pure,” says Hanson. And he stands by that motto: it doesn’t matter what the crop is, Hanson says he’ll figure out a way to clean it. “Without the hemp growers in our area, we wouldn’t have the need [for a second plant].” That hemp grower also brought him some dill and coriander to clean. “As with any business, if you stop growing, you stagnate. If the need is there, you must fulfil it,” he says. Another reason Hanson pushed for a second facility also addressed a challenge many businesses are facing in the industry. Attracting and retaining qualified labour continues to be an obstacle many in the sector must overcome. Hanson focuses on quality of life to retain his employees, which has created for him a loyal, lasting team. “I don’t believe in running [the plants] 24 hours a day, seven days a week. If you can keep your employees happy, it makes it simpler for everybody,” he says. 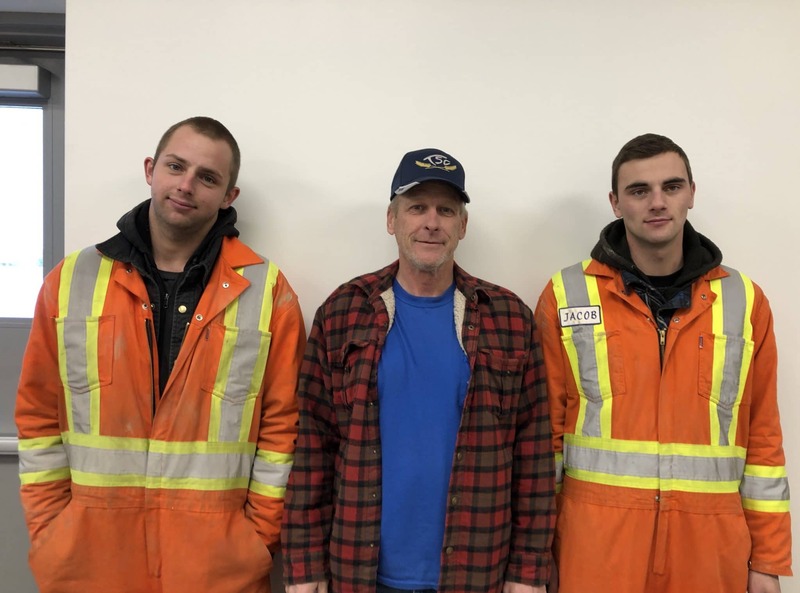 Although Hanson runs a tight ship, he maintains keeping good people is essential to the plants’ success, and he does this by making sure his workers get time to themselves and their families on weekends and evenings. However, for a few weeks during the spring, it’s all hands on deck. “Without our staff, we wouldn’t be where we are today,” he says. With the new plant up and running, Hanson can focus his attention on the future — which he thinks looks pretty good. “For farming, as a whole, there’s a bright future there. In our area, many crops are irrigated. The crops we can grow will amaze you. More new crops are going to be introduced, and they’re not going to be the typical wheat and barley,” says Hanson. Hanson says now that the Grassy Lake plant has boosted seed processing capacity in the area, there’s no way they will need to expand.